New Look, New Features, New Yidio! Thanks to your feedback, we have been making frequent updates to improve your Yidio experience to be the best it can be. Today, we’re pleased to release a completely new version for Android and an updated iOS 9 experience! 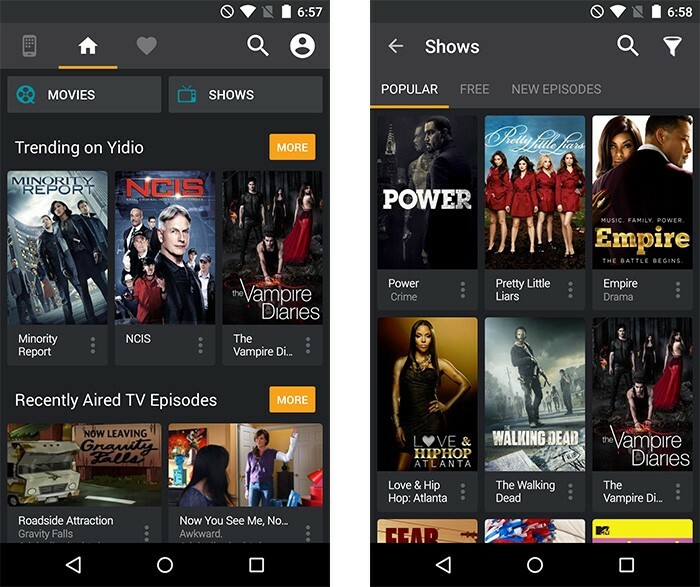 This new version increases the number of sources in the app by over 40%, gives you information about the watching experience for each provider and makes following and managing your shows and movies easier than ever. With the increase in the number of ways to watch your favorite show or movie we made sure to include as many sources as possible in this new version. In addition to popular sources like Netflix, Hulu Plus and iTunes we have added Xfinity, DirecTV, HBO NOW, Cartoon Network and more. With one simple search you will find where to watch anything, anywhere. In addition to source expansion, we now show detailed information for each source about the episode and movie. The newly added information includes casting options, pricing, ad-supported, and if closed captioning is available. We are positive you will find what you want to watch and where you want to watch simpler and easier than ever. Finally, the app has a completely new look and feel! For Android, we updated the entire app to be a seamless navigation experience and match material design practices. We completely redesigned every screen of the app to make a beautiful, thoughtful and consistent experience across all screens. For iOS, we’ve designed with iOS 9 and the user in mind. We’ve paid special attention to the show and movie screens and highlighted the actions that you find most valuable. 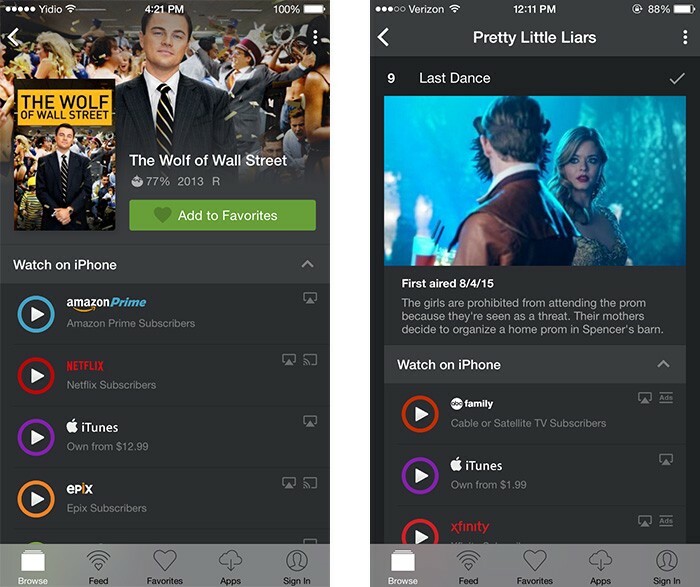 Now marking shows as watched, favoriting and finding movie and show recommendations is simpler than ever. If you haven’t already downloaded the latest version of Yidio for Android and iOS, you can get the update from the iTunes and Google Play stores. Also don’t forget to like us and follow us on Facebook and Twitter to stay up to date on all the latest entertainment news.